Wondering which winter vegetables to grow? Deciding which crops to plant in the fall can be a hard decision. It often requires hours of research before you can even purchase the seeds. Well, we're here to change all that. Below we've listed eight of our favorite vegetables that you can get started by planting now. Read on to discover more. If you have space, try planting a permanent asparagus bed this season. Pick up your autumn planting variety. Asparagus “Pacific 2000” is always a good choice for winter. “Pacific Purple,” its colorful cousin, is another excellent option. It's worth noting that asparagus beds take several years before yielding a good crop. Fortunately, when they do, each asparagus crown produces as many as 25 spears per year. And get this, they'll continue producing healthy yields for up to 25 years. But remember, you'll have to be patient. It'll take two years before you can harvest. But it's well worth the wait. The best part? Growing garlic couldn't be easier. You'll find many varieties to choose from for the winter season. They have long growing seasons, so they won't be ready to pick until next summer. “Wight Cristo” is a great choice for those of you who plan to use it in meals. “Chesnok Red” offers a delicious creamy texture if you plan to bake it. Another one that'll practically take care of itself is the onion. They're easy to grow and quite hearty. Onions and shallots also have a long growing season, so they won't be ready to harvest until next summer. That can be tricky. You'll need to plan carefully because they'll still be in the ground when you start planting your crops in spring. “Onion Electric” is a brightly colored red onion, perfect for hamburgers and other non-cooked meals. It has a strong, spicy flavor. “First Early” is another popular, reliable variety that's ready for harvest earlier than its cousins. These little fellas look like tiny cabbages. They're actually from the “Brassica oleracea” family, so they're related to cauliflower, kale, and yes broccoli. 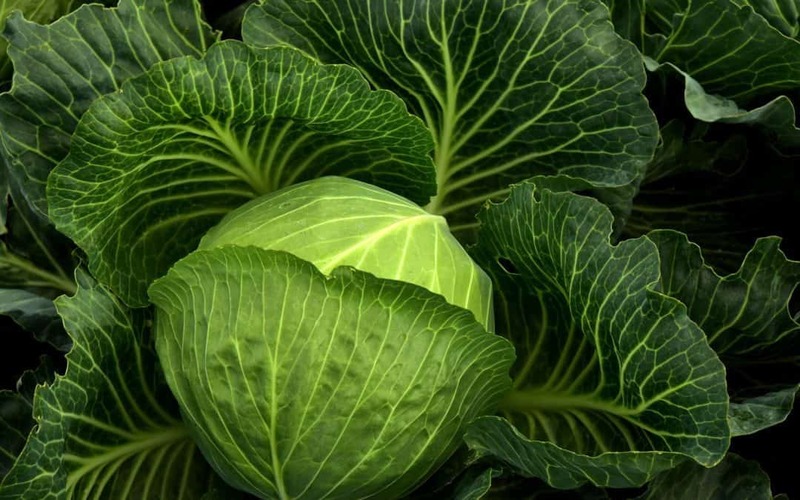 Dieticians and nutritionists commonly refer to them as “cruciferous” vegetables. Unlike the other vegetables listed above, these take between 3 to 6 months to mature from seeds. That means now is the perfect time to plant them. Brussel sprouts thrive in cool weather making them the perfect Pacific Northwest winter crop. “Catskill Brussels” produce a lighter vegetable with a pleasant crunch. “Bitesize Brussels” are smaller with a slight blue hue. They're great on salads. Kale comes in a wide variety of colors and shapes. It can be flat, curly, purple, blue, and green. Each has a different flavor, so we recommend planting more than one kind. The big, curly leaf varieties are better for winter because they're more durable. They also hold up better in cold climates. Green varieties are better for spring crops. The best part? Kale grown in the winter has a sweeter taste than kale grown in the summer. Another vegetable that's sweeter when grown in the winter is the carrot. As you may know, carrots are a robust, easy-to-grow root vegetable. Like onions, they require little maintenance. “Kuroda Carrots” offer a deep orange, almost red, color. They're sweet and stubby. “Snowman Carrots,” on the other hand, are stark white with green stems. Don't let their color fool you; they're delicious. If you're looking for another vegetable to spice up your selection quite literally, look no further. Radishes can be savored all year long. They're cold weather vegetables, and they're easy to grow. Some varieties are better suited for winter. “Chinese White,” “China Rose,” “Tama Hybrid,” and “Round Black Spanish” are good choices for your winter crop. Don't forget to eat the greens. Radish greens are delicious in soup and salads. They offer some of the same spicy flavor but less crunch than the radishes themselves. If you live in a slightly warmer climate, peas are an excellent choice for an autumn crop. If you plant them now, they'll be ready for harvest next spring. The “Field Pea,” also known as the “Austrian Winter Pea,” is one of the oldest domesticated crops. It's been cultivated for at least 7,000 years and can withstand temperatures as low as 10 degrees Fahrenheit. It's an annual legume, and it's long been a high-preference forage plant for whitetail deer. That means you'd better make sure your fences are high and in good condition. Quite a few plants can be considered winter vegetables. Many leafy greens and root vegetables have no problems with winter chills. They often require little to no maintenance as well. Take into consideration your average temperature during your winter months. Also, take into account whether you'll be leaving on vacation or sticking around to tend to your garden. Then pick a winter crop that'll suit your needs. Did you find this article helpful? If so, hop over to our library of other fine gardening articles. P.S. If you're looking for vegetables to plant come spring, consider these 4 easiest vegetables to grow. When you plant them, you're guaranteed a good crop (even if your thumb isn't so green).